Cost to install vinyl flooring varies greatly by region (and even by zip code). Get free estimates from flooring contractors in your city. Cost to install vinyl flooring varies greatly by region (and even by zip code). The average cost of insntalling vinyl flooring is $800 - $1,000. Vinyl flooring is a type of durable flooring made from synthetic materials, namely PVC compounds. Vinyl 1 can mimic a wood or tile floor, for a fraction of the cost, and is similar to linoleum 2. Vinyl flooring ranges from $2-$8 per square foot including the cost of installation. Installing a 200 square foot vinyl floor without stairs costs an average of $800-$1,000. Vinyl 1 flooring is becoming increasingly popular in modern homes, in part due to the variety of finishes and textures that are available. Vinyl can have the appearance of wood or tile, so it’s suitable for any room in the house. Another benefit to vinyl flooring is the cost. Vinyl flooring can be significantly cheaper than hardwood or tile and it is also easier to install. However, vinyl, for all of its perks, doesn’t have as long of a lifespan as tile or wood (10-20 years on average), and if you’re trying to be environmentally conscious, vinyl is a product of the petroleum industry. There are a few elements that contribute to the cost of your vinyl 1 flooring project. Thickness: the top layer of your vinyl flooring is also known as the wear layer. Though there is no pricing “rule,” a thicker wear layer means a higher price for materials. The wear layer is often measured in millimeters or an imperial measurement known as a “mil” (thousandth of an inch). For an area that will have moderate to heavy traffic (or pets), 12-20 mil thickness is recommended. Type: your price for materials will vary partially based on the type of flooring you choose. Sheet vinyl, tile, and planks will vary in price. Non-luxury vinyl costs approximately $0.50-$3 per square foot for materials. Quality: luxury vinyl is higher quality and more durable than standard vinyl products, and that’s reflected in the price. Luxury vinyl tiles (LVT) and luxury vinyl planks (LVP) cost $2-$5 per square foot for materials. Job complexity: the price of installation will vary based on your material choice and the complexity of the job. Installation is charged by the square foot and ranges from $0.75-$3 per square foot. A more complex job with more angles or an unusual floor layout will generally cost more. Additionally, you will need to plan to purchase a small amount of excess material, particularly if you have patterned vinyl. A 10% increase in materials is recommended. Location: job complexity plays a large role in the installation cost, as does location in the house. Stairs are notoriously difficult in terms of installation, so you can expect stairs to fall at the higher end of the installation cost, around $3 per square foot. Most vinyl 1 installers will recommend underlayment 3 underneath vinyl flooring, especially if you wish to reduce noise. Otherwise, you don’t really need it. Underlayment will cost approximately $0.50 per square foot. In order to avoid buckling or warps in the vinyl, you’ll want to make sure the underlayment is thin. All sheet vinyl 1 has a backing, and that backing material will make a difference in the installation process. 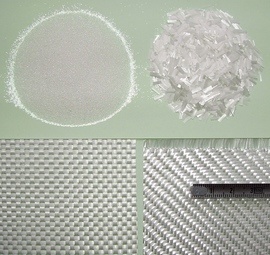 There are two main types of backing: felt and fiberglass 4. Felt is the older and more traditional backing, but it’s also more difficult to install. Adhesive needs to be applied, and it’s more difficult to take out later. Felt-backed vinyl is generally not recommended for areas like basements, which can get waterlogged. Additionally, not every contractor has experience with felt-backed vinyl. 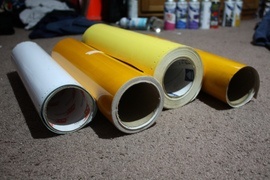 Fiberglass vinyl, on the other hand, is much easier to install. It is also easy to replace portions of the floor, and you won’t have issues with buckling and movement. The flip side of that is because felt is more flexible, it can settle and move as your house does. Both types are available at all price points. There are different forms of vinyl flooring to choose from. Different floor types have different appearances and require different installation procedures, so what you choose will depend on your personal preferences. Tile Looks and feels like ceramic tile $0.50-$2/sq.ft. Sheet Comes on rolls 6-12 feet wide $1-$2/sq.ft. Snap together and look like boards $2-$3/sq.ft. May have underlayment built-in $2-$4/sq.ft. Part of what makes vinyl 1 so versatile and popular is that it can take on the look and feel of natural materials at a fraction of the cost. There are many different styles to choose from, including wood, tile, plain, striped, and kid-friendly designs. Depending on the aesthetic of your room, you can choose the right style to fit. For example, there are many vinyl tiles that mimic classic bath patterns, while others look (and even feel) like hardwood. Prices will vary based on the quality and thickness of the material, not the style. Vinyl 1 flooring is incredibly flexible, but that also means that it needs a completely level subfloor 5. Any bumps or uneven spaces can leave your final floor uneven. Part of the installation process is ensuring that the subfloor is completely level. Minor adjustments to the subfloor may be included in the price, but if the necessary work is more labor intensive, it can cost $1 a square foot. For installation, you’ll want to contact a flooring contractor. Flooring contractors will charge by the square foot ($0.75-$3 per square foot, not including the cost of materials), but if you have a smaller project, you’ll want to check with the contractor to see if there is a minimum service fee. 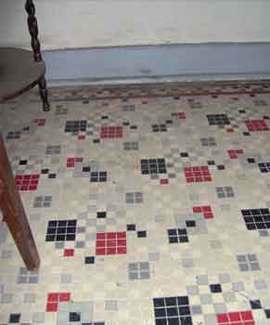 Some vinyl is peel-and stick, while others, like planks, are click-and-lock, and your flooring contractor will make sure that the flooring material is in line and that the patterns line up. So how does vinyl 1 stack up against other floor types? Take a look at vinyl in comparison to common flooring materials. Below are some of the most well-known vinyl 1 flooring brands. Your flooring contractor may recommend certain brands over others, and many of these brands can be found in home improvement stores and construction materials shops. If you are replacing a floor, you don’t necessarily have to get new trim or molding. The preexisting molding and trim can be put back in place after the flooring is installed. If you want new molding, however, you have a lot of options. Vinyl 1 trim and molding costs $1-$8 per foot and is purchased in 6-8 foot lengths. Depending on your needs, you may want to consider stair treads. Treads are sold in 2-4 foot lengths and will cost $2-$13 per foot depending on style and quality. Installing stair treads may cost more per square foot ($2-$3 per square foot) because the work is much more labor-intensive than a standard floor. Sometimes it’s the details that make a floor look completely finished. That means smoother transitions like door thresholds, flush stair noses, transition strips, t-molding, and quarter round molding. These are sold in 2-4 foot lengths and are cut to fit. These accessories can often match the texture and pattern of your floor choice, and the price will vary accordingly. Expect to pay anywhere from $5-$30 for 2-4 feet sections of these transition materials. It is possible to install your own vinyl 1 flooring; however, professionals are able to do the job easier and faster. If you have the right tools, a vinyl floor could be installed in a weekend. DIYers may encounter difficulties working with complex areas like stairs. Vinyl raises a lot of questions for individuals who are environmentally conscious. Vinyl is made from PVC, meaning it’s petroleum-based and not a renewable resource. Recently, however, developments in manufacturing have led PVC to be a #3 recyclable plastic. New developments have also resulted in lower VOCs (volatile organic compounds) in vinyl flooring produced over the last few years. Vinyl decomposes and releases gases, among them hydrogen chloride. In the case of a fire, these gasses can become hazardous to individuals in the house who do not have a self-contained breathing apparatus. Essentially, fumes can prove deadly in a house fire to civilians and firefighters. Replacing a floor means that the old floor needs to be removed; the removal of a 200 square foot floor will cost approximately $400. One of the perks of having a vinyl floor is that it doesn’t need a lot of maintenance. The material is waterproof and can be cleaned easily. Vinyl floors will last about 10-20 years. If your floor needs to completely replaced, you may need to temporarily move furniture. Hiring movers will cost about $60 per hour, with a minimum of one hour of work. If you’re replacing your floor, you don’t have to pay for brand new trim. The current trim can be removed and replaced after the installation. Manufacturers will often have a limited warranty on materials, but also look for contractors who will provide a guarantee on their labor. Many issues that occur with vinyl flooring are a result of faulty installation or an uneven subfloor 5. The main difference between vinyl and laminate flooring is the makeup of the material. Vinyl 1 flooring is made from PVC resin, a byproduct of the petroleum industry. Laminate is made from wood byproduct and fiber board. Do you need an underlay for vinyl flooring? Not necessarily. Some vinyl comes with underlayment 3 already built in, so you don’t need anything additional. Underlayment can help reduce noise. It is a durable product, but has a shorter lifespan than some other types of flooring. Vinyl floors last 10-20 years, depending on use. What is a good thickness for vinyl plank flooring? The “wear layer” is the part that needs to be measured. Professionals recommend a wear layer of at least 12 mil, but if you have pets or children, a wear layer thickness of 20 mil is more desirable. What is the average price for vinyl flooring? Vinyl flooring costs $2-$8 per square foot, including installation. 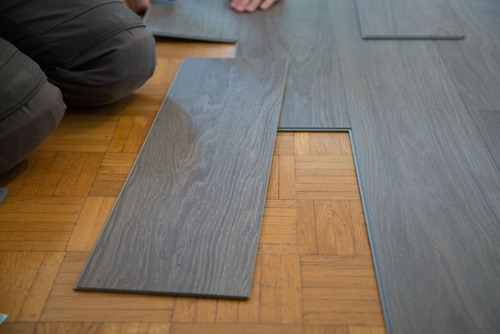 How much does it cost to install vinyl flooring per square foot? The price of installation varies depending on the style of vinyl flooring and your particular floor layout. This ranges from $0.75-$3 per square foot for installation, not including the price of materials. Vinyl flooring is generally considered to be one of the least expensive floor types. A 200 square foot floor will cost $400-$2,000 for materials and installation. Vinyl floors last 10-20 years on average. How much is vinyl flooring installation? Installation costs $0.75-$3 per square foot, not including the price of materials. How do you lay down vinyl flooring? While the specifics vary depending on the style of vinyl flooring you choose, the method is similar. The subfloor should be clean and level, and each piece of flooring, be it planks or sheets, are carefully laid on the subfloor. 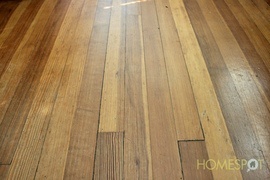 Peel-and-stick flooring has a peel-away adhesive, and planks lock together. Trim and molding are put in place at the end. What do you need to install vinyl plank flooring? If you’re installing plank flooring yourself, you’ll need chalk lines, a utility knife, a level, and equipment to level the floor (sander or self-leveler). 2 Linoleum: An inexpensive flooring material made from linseed oil, resins, recycled wood flour, cork dust, limestone and mineral pigments, on a canvas or jute backing. How much does it cost to install vinyl flooring in my city? Cost to install vinyl flooring varies greatly by region (and even by zip code). To get free estimates from local contractors, please indicate yours. This cost guide has been completely remade, giving a more detailed description of the project. New information regarding the benefits, cost factors of installing vinyl flooring, and the underlayment and backing needed has been added. There is also a section with information about the different types and one explaining the labor. There is now a section dedicated to enhancement and improvement costs, and another that contains additional considerations, with information about DIY options, old flooring removal, and warranty. Finally, all prices were updated and a summary stating the price as well as a “FAQ” section were added.